Ovarian cancer may cause few or no symptoms when it first develops, so it is commonly detected at an already advanced stage, making treatment options difficult. About a fifth of cases actually present with distant metastases, with most of these being terminal and requiring supportive or palliative care. Ovarian cancer kills an average of 4,000 people a year in the UK alone. A new drug, ONX-0801, is currently being tested in a phase one clinical trial conducted at the Royal Marsden cancer hospital in London. The compound has shown extremely positive results so far, after seven out of fifteen women who were administered the trial drug experienced substantial tumour shrinkage. Notably, ONX-0801 was only being tested for safety, but the unexpectedly beneficial therapeutic results encouraged the investigators to quickly move to further trials. ONX-0801 was administered to women who had poor or negligible therapeutic response to standard chemotherapy treatment. 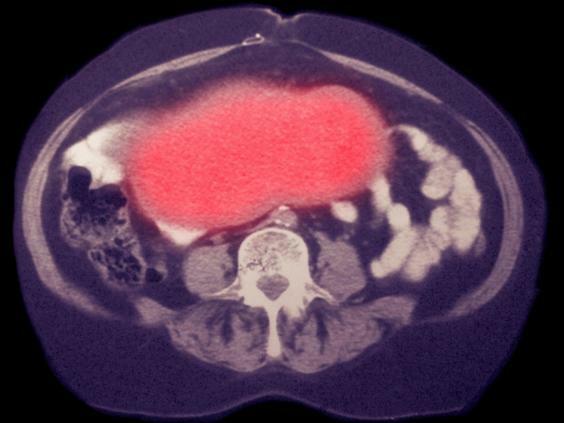 Though initial results regarding the therapeutic outcomes of ONX-0801, further research and trials are needed to confirm its viability in the fight against ovarian cancer. A whole squadron of F-35 fighter jets has been grounded due to a dramatic increase in hypoxia incidents on board. All F-35 aircraft attached to the 56th Fighter Wing at Luke Air Force Base in Arizona, US, have been grounded while an investigation into a number of ‘physiological incidents’ takes place. Five pilots flying different F-35 jets based at Luke have experienced hypoxia symptoms on board since May 2, forcing the grounding of all aircraft at the base. Hypoxia problems are relatively common in combat jet aircraft. Issues with the life support gear on board F-22 Raptors were identified and resolved back in 2012. And the F/A-18 Hornet’s fleet has also experienced similar problems across all its variants. The current issue is of particular importance, as Luke Air Force Base is the pilot training hub for the F-35A variant. Pilots from several nations attend F-35 training programs a the location. The aircraft, which has had a troubled development history, is manufactured in three versions: The F-35A is the Air Force model, and was declared airworthy and combat-ready in August 2016. The F-35B is custom-made for the US Marine Corps (USMC). The F-35C, designed to be flown from carriers, is a ‘work in progress.’ 220 machines in total have been built, but none has seen combat yet. The F-35 program is the most expensive military weapon system in history, having gone over $163bn over budget, and delivered seven years behind schedule. The jet’s astronomical per-unit cost has caused heated controversy over the years, with experts citing that it delivers poor value for money when compared with older generation aircraft. Sources inside the Russian Defense Ministry have confirmed that a Su-27 jet was launched to intercept a long-range B-52 bomber flying over the Baltic Sea. The Su-27 jet, codenamed ‘Flanker’ in NATO nomenclature, shadowed the US warplane on Monday morning until the B-52 left neutral airspace near the Russian border. The Su-27, manufactured by Sukhoi, is a fixed-wing, twin-engine, air superiority war machine, designed to outmaneuver America’s fourth generation fighter aircraft such as the F-14 Tomcat and the F-15 Eagle. The incident is the latest is a series of wargames and mid-air interceptions that highlight the inherently dangerous cat-and-mouse game played by the major superpowers on contested airspace. There has been a significant buildup of American and NATO forces across countries bordering with Russia in recent times, amidst heightened international tensions concerning North Korea, Syria, and their allies. A number of long-range B-52 bombers will be deployed to the UK to take part in upcoming joint wargames with NATO forces. The deployment takes place against a backdrop of uncertainty about the future role of US forces in the defence of the continent. President Donald Trump has alienated many European countries with comments about the perceived obsolescence of NATO, and his views that Germany is not ‘paying enough’ towards defence spending. Nevertheless, a number of bombers and up to 800 troops will soon arrive in the UK. The upcoming wargames will take place across the Baltic region, right on Russia’s borders, later this month. The B-52 Stratofortress is one of the US Air Force’s longest serving aircraft. It first entered active service in 1955, and carried out a large number of bombing operations throughout the Vietnam War, notably during sustained bombardment campaigns as part of operations Rolling Thunder and Arc Light. The aircraft, which completed its sixtieth operational year in 2015, has seen action as recently as 2016, conducting sorties in Afghanistan. Having undergone a large number of modifications throughout its long history, the B-52 is likely to remain operational at least until 2045, some 90 years after the aircraft first entered service. This is an unprecedented length of service for any aircraft, civilian or military, in history.